The Adamakis Hotel at located in Analipsi Village. The has a restaurant and a bar, garden and mountain views. Free Wi-Fi is available in public areas.Hotel Adamakis has 20 adequately furnished rooms, to make stay comfortable and pleasant. 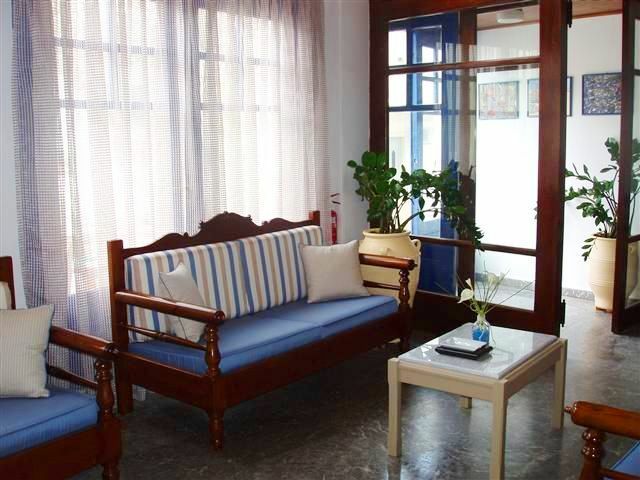 All rooms include a private bath with shower, telephone, radio, air condition, a spacious sunny balcony with view.Guests may enjoy their lunch or Dinner at the on-site restaurant. Refreshing beverages and drinks are served at the bar. The nearest sandy beach is 150 meter and Super market 130 meter away. Heraklion City is 25 km away and Nikos Kazantzakis International Airport is at a distance of 19 km. The hotel is situated in Hersonissos, 150 m to the beach, 4 km to the centre and 20 km to Heraklion. Air Conditioning, Baby Cot, Babycot (On request free of charge), Balcony, Bathroom with bathtub or Shower, Bathroom with Shower, Hair Dryer, Iron Ironing board (On request Free of Charge), Mini Fridge, Radio, Refrigerator Mini Fridge.